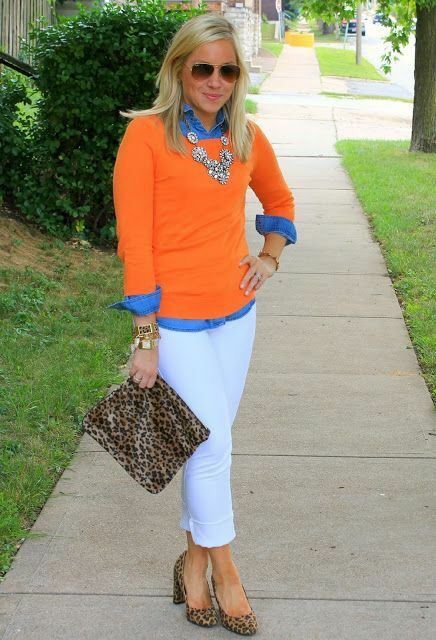 What is the color orange and what matching colors you can wear with it? This is a classic shade of good mood, creativity and fruit. It has many variations and every girl can choose the most appropriate for herself. 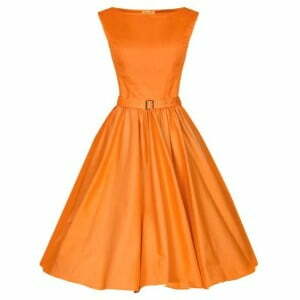 Orange color attracts by its brightness and positivity, but it’s not always easy to make it a part of your wardrobe, as not all figures and not all color types looks advantageous in orange. 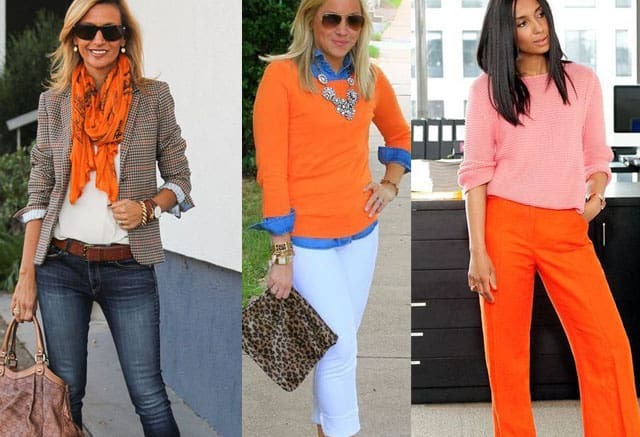 Warm shades of orange suit “autumn” the most, and cool shades — “winter” color types. Orange includes red and yellow components, so it is in harmony with these related complementary colors, more precisely, with their warm shades. That’s why orange plus burgundy is a harmonious color combo, and also a very festive and bright one. The color is very energetic and is often match with shades of brown that balance it; this combination is especially popular in autumn. When it comes to what color goes with orange making a right contrast, it is warm blue (both light and dark shades of blue). There are much more colors that go with orange: these are turquois, purple, green, olive, khaki, beige, pastel shades as ivory and peach, and of course, black and white. 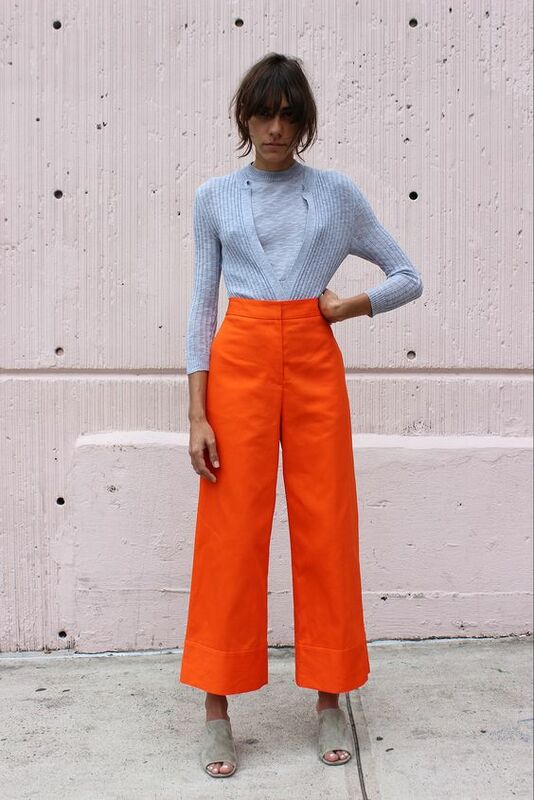 Orange wide pants with coral pink sweater. Romantic and cute image.